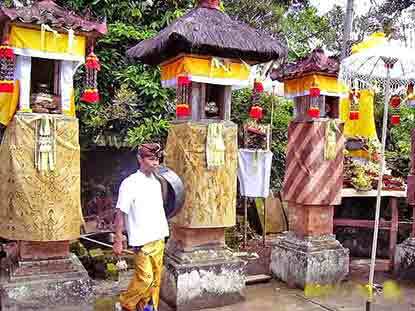 Seseh is located a few kilometers to the north west of Canggu. Here, you see farmers in conical hats riding rusty old bikes, as well as colorful ceremony processions to the village’s beachside temple. There are no international restaurants in Seseh, but you might just encounter a barong (a high-spirited, benevolent beast seen as “the power of good”; danced by two men inside an ornate costume) dancing on the street. Although there are now many private rental villas around, they have seamlessly integrated without detracting from the simplicity and charm of the location. This is a wonderful destination for those who want to get lost in the beauty of Bali’s countryside, engaging with the locals and taste the Balinese Hindu lifestyle. A little further up the coast is Tanah Lot, famous for its dramatic and venerated sea temple, which is perched on a craggy wave-lashed rock at the edge of the glistening black shoreline. It is probably the most photographed sight in Bali, especially in the late afternoon when its splendid profile is silhouetted against the setting sun. Located on the beach area of Beraban village, Kediri district and Tabanan regency, which is just about 30 km from Denpasar city or about 11 Km to the south site of Tabanan town. The name of this area comes from the name of the secret Temple called by Tanah Lot uniquely set on beach rock approximately 3 h that is just about 100 m from the shore. The location of Tanah Lot temple had been used in the megalithic era as secret place by evidence of the Menhir existence. Since there are the Hindu religion and culture influences Bali Island from 8 century by existing a phallus on Tanah Lot, hence it can be said that Tanah Lot had existed a secret place to worship the Siva God. According to Dhang Yang Nirartha instruction in 16 century, he had built a Tanah Lot Temple without abandoning tradition that was existed before. Before this Temple is built, he felt the vibration of holiness and spiritual protection that is called Jiwan Mukti. 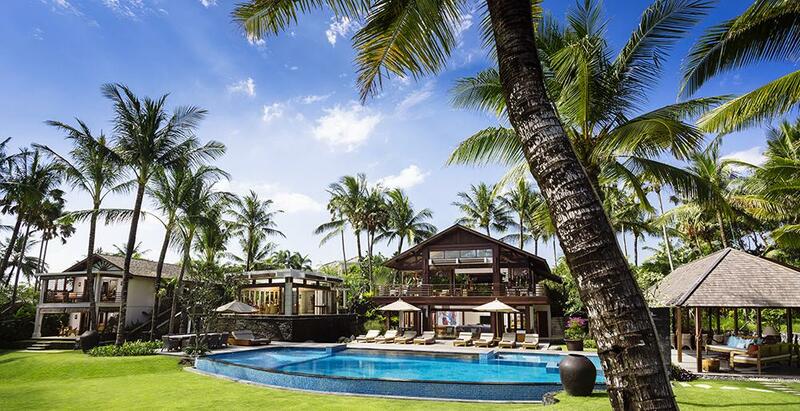 This area is also home to a number of private villas due to presence of the 18-hole, 72-par, championship-standard Nirwana Bali Golf Club, which is frequently voted the number one golf course in Asia. 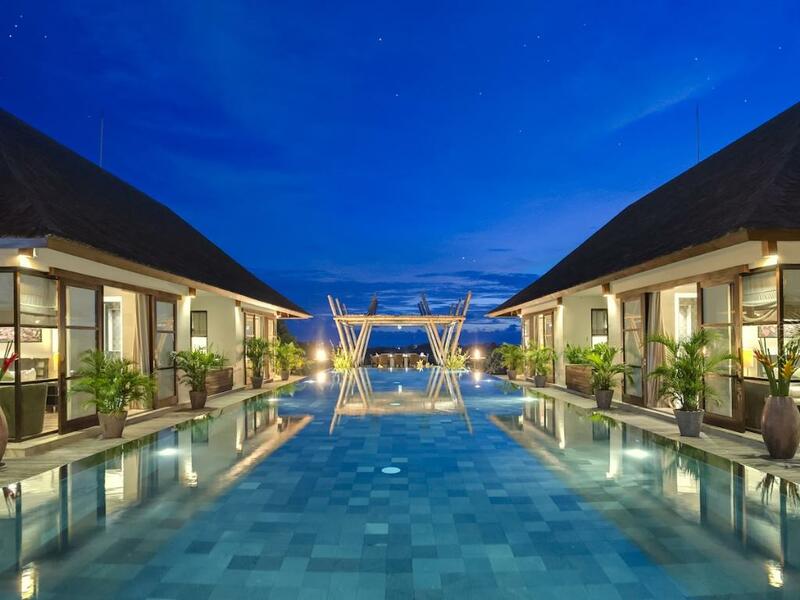 This is, however, still a far-flung area with few facilities other than the souvenir stalls and simple eateries within the temple grounds, and three international restaurants within Pan Pacific Nirwana Bali Resort. Beautiful and luxury villa in Seseh, Bali, Indonesia with private pool for 10 persons. 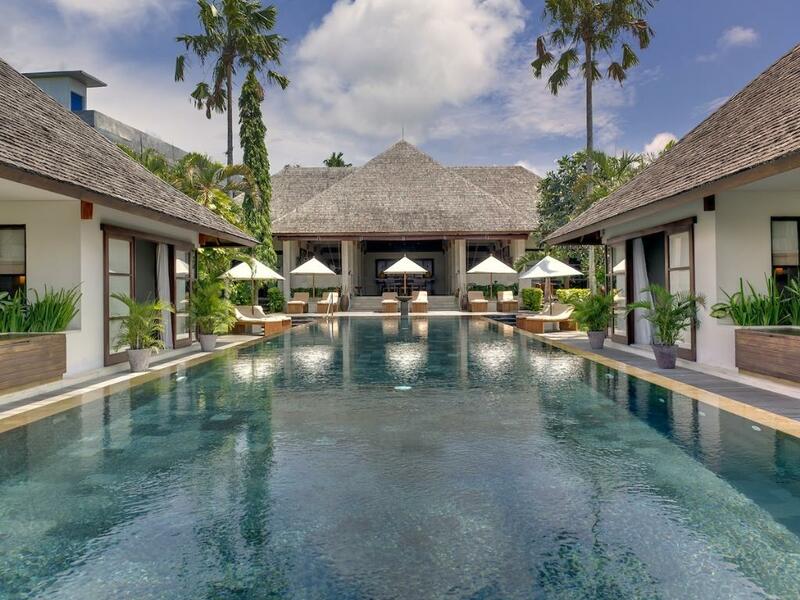 Large and luxury villa in Seseh, Bali, Indonesia with private pool for 12 persons. 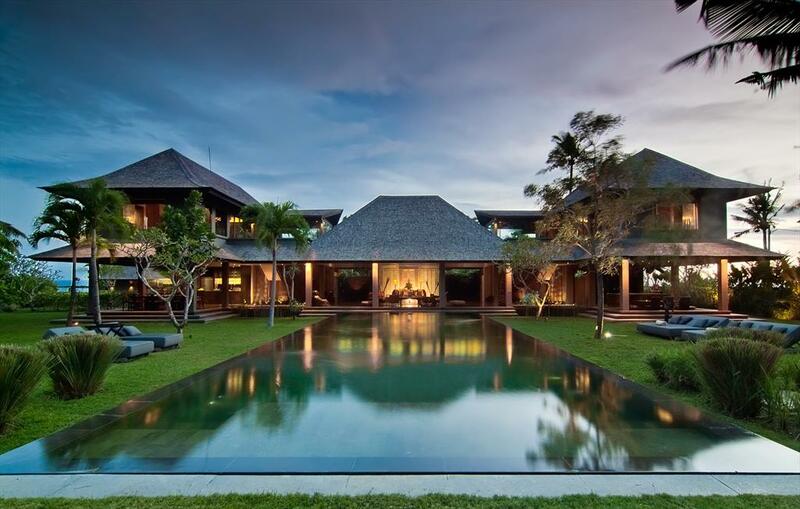 Large and luxury villa in Seseh, Bali, Indonesia with private pool for 14 persons.